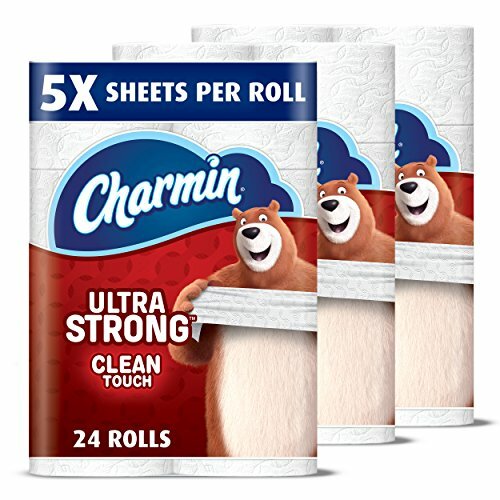 Amazon has the Charmin Ultra Strong Toilet Paper, Family Mega Roll with Clean Touch (5x More Sheets*), 24 Count priced at $29.99. Clip the $2.00 coupon, use the promo code 3MEGACHARMIN, and check out using Subscribe & Save to get this for only $23.49 with free shipping! Instructions: GO HERE and clip the $2.00 off coupon. Then click on the “Subscribe & Save” option on the right side of the item page. Use the promo code 3MEGACHARMIN. Check out for $23.49 with free shipping. Once your order ships, go to “Your Account” and cancel any future shipments if you don’t need them. Don’t worry they will email you before they ship out the next order!